During Afib, an irregularity in the heart’s electrical system prevents the heart from beating normally and instead, the upper chambers of the heart (atria) quiver. This abnormal beating of the heart prevents the blood from effectively moving into the bottom chambers of the heart (ventricles), increasing the risk of stroke. In fact, Afib patients face a fivefold increase in their risk of stroke than those without the condition. Most patients are treated with medical therapy as a first line treatment to manage their Afib but over half of patients do not respond to, or can’t tolerate the side effects associated with, these medications. Earlier this year, the U.S. Food and Drug Administration approved the THERMOCOOL® SMARTTOUCH® Catheter, the first contact force therapy available in the U.S. The unique elements of this device help physicians deliver targeted treatment with precision and accuracy, ensuring a very high patient success rate as demonstrated in the SMART-AF Trial that studied the device.2 One-year results from the trial, which were recently published in the Journal of the American College of Cardiology, showed patients experienced an overall success rate of 74% and more significantly, an 81% success rate when consistent and stable application of contact force was achieved (when a targeted range was maintained >=80% of the time).3 The trial demonstrated for the first time that the use of contact force therapy helps to significantly improve outcomes for patients undergoing catheter ablation. 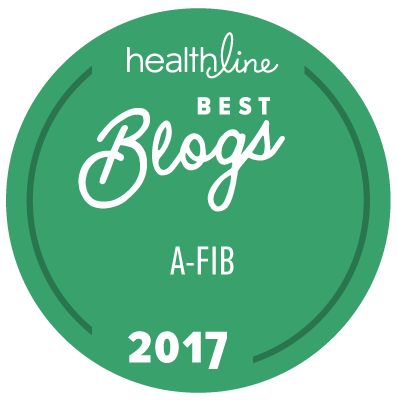 The Get SMART About AfibSM Initiative is a collaboration between Biosense Webster and StopAfib.org, which was founded by Afib patient Mellanie True Hills. Mellanie has devoted her life to raising disease awareness around Afib and available treatment options on behalf of patients like herself. As part of the Get SMART About AfibSM Initiative, people can visit the website to learn more about Afib, view dynamic videos and read stories about people who have had their Afib successfully treated. Atrial fibrillation, or Afib, is the most prevalent heart rhythm disorder and is a leading cause of stroke among people 65 years and older. An estimated three million people in the U.S. and 20 million worldwide are affected by Afib, and its prevalence is expected to increase significantly as the population ages.4 Afib is a progressive disease and increases in severity and frequency as patients get older. Left untreated, it can lead to heart valve disease, sleep apnea, chronic fatigue, congestive heart failure and stroke. During contact force therapy, doctors insert a therapeutic catheter through a small incision in the groin where it is then weaved up to the heart through a blood vessel in the leg. Once it reaches the upper left chamber of the heart, an advanced 3D map guides the controlled application of contact force therapy around the openings of the pulmonary veins. This advanced technology enables doctors for the first time, to precisely and accurately control how much pressure they’re applying against the heart wall to ensure optimal outcomes. The lesions that are created work to isolate and prevent the abnormal electrical signals originating from those pulmonary veins from reaching the rest of the heart. Biosense Webster, Inc. is the global leader in the science of diagnosing and treating heart rhythm disorders. The company partners with clinicians to develop innovative technologies that improve the quality of care for arrhythmia patients worldwide. Biosense Webster, Inc. is part of the Johnson & Johnson Family of Companies. More information can be found at www.biosensewebster.com. 1Naccarelli GV, Varker H, Lin J, Schulman KL. Increasing prevalence of atrial fibrillation and flutter in the United States. Am J Cardiol.2009;104:1534-1539. 2 The THERMOCOOL® SMARTTOUCH® Catheter provides a real-time measurement of contact force between the catheter tip and heart wall, as well as location information when used with CARTO® 3 Navigation System. THERMOCOOL® Navigation Catheters are approved for drug refractory recurrent symptomatic paroxysmal Afib, when used with CARTO® Systems (excluding NAVISTAR® RMT THERMOCOOL® Catheter). 3 Natale A, Reddy VY, Monir G, et al. Paroxysmal AF catheter ablation with a contact force sensing catheter: results of the prospective, multicenter SMART AF trial. J Am Coll Cardiol 2014;64:647-56. 4 Naccarelli GV, Varker H, Lin J, Schulman KL. Increasing prevalence of atrial fibrillation and flutter in the United States. Am J Cardiol.2009;104:1534-1539.